sure that isn’t happening, talk to your Admin. skills to fortify your attributes with. Pool and Power Up stats. the amount of a Edge you have, in comparison to your foe. You are at our sites basic levels your character will be compared to the characters from the early series of dragon ball as you are just starting off in our role play. This level system is based of the most dominate power level in that series. Example of this would be when the Z Fighters first took on the Sayains. Level 1:This is the first level in the terms of power. You are at the weakest stage in terms of power. Your combat ability is basically on the level of Goku when he first took on Raditz. Level 2:At this level the character is much like Raditz when he fought Goku and Piccolo. The character power has rose above that of level but not that much greater. Level 3:Now your character is at the level Piccolo's status when the sayain saga started to kick off. 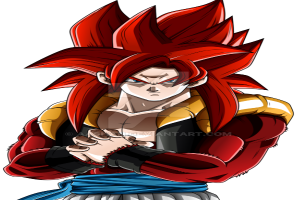 At this time his power level over raditz. Level 4:The Fifth level compares your character as Nappa now as being on a slight higher level. 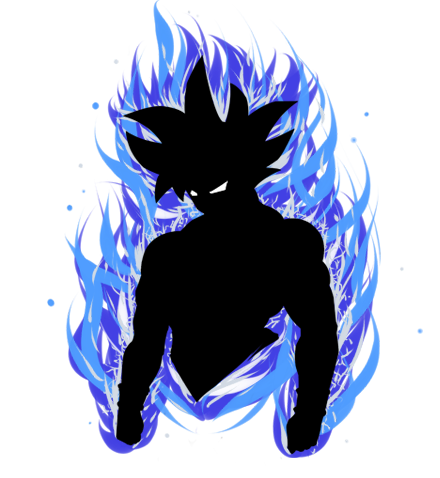 Level 5: Next you step up to Goku at the start of the Sayain Saga rather suppressed or not you had reach a difference from you starting point. Step above the weakest you are at the second stage of our sites power scaling. You are above the beginners. This is basically the level that fighters seen in dragon ball where on planet Namek. There is still alongs ways to go. Level 6: At the six level your capabilities is like Vegeta when he was first introduced. 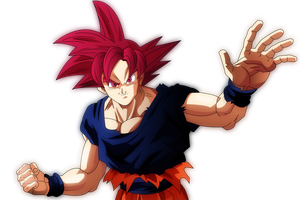 Level 7:Having to step it up you are Goku (x3 Kaioken) level fighter. Level 8: At the eighth level you on par with Nail when he was first introduced. Level 9:The next level is Goku when he touched down on Namek. Level 10: Your on Captain Ginyu's level in the their terms of power. This is next level being still at power level as fighters see, this is still consider off of characters post Namek arc. Just like in the anime your character has shown advancement in the powers. Level 11: You now Vegeta after he slide Rencome. Rising up you come towards the end of the fighters of the Frieza saga. Once highlighted moments in many childern eyes you reach Goku level when he first becomes a super Sayain. Level 16: You now like Frieza in his Final Form. Level 18: Next you a level that compare to goku when he first went super sayain. The next step of the ladder you reach the level of wars when Trunks was first introduced. You have a came a long at from the beginning of your story. Level 21: You now at Krillin level at the start of the trunks saga. Level 23: Next you a level that compare to goku when he first went super sayain. These level are your characters base forms this dose not include power ups, and transformation. you’ve spent on your character sheet. Values are used from 1-14. A scaling system has been implemented where 1 is the poorest of all characters and the higher number is the dominant and unmatched user of that certain stat. If the power level are the same, then the contenders are evenly matched.If the levels differ only by 2-3 points, then the actual difference between them is marginal. If the stats differ only by 4-or more points, then the actual difference between them is noticeable. The person who has more stats has a describable advantage. If the stats differ by more then 6 points, then the difference is blatenly apparent. The person with the lower stat has no way of keeping up. Level 1:The character is at the starting level of Martial Arts. The character can preform one Physical Technique in a post. At this level Characters can have only learn up to one Martial Art Technique. Level 2:The character is at the second level of Martial Arts. The character can only still preform one Physical Technique in a post. At this level Characters can have only learn up to five Martial Art Technique. Level 3:The character is at the third level of Martial Arts. The character can only still preform one martial Technique in a post. At this level Characters can have only learn up to five Martial Art Techniques. The character has the ability to use rapid movement at least once in a post. Level 4:At the forth level of Martial Arts. The character can is now able to preform 2 martial arts Techniques in a post.The character's can preform rapid movement once in a post. Level 5:Next is the fifth level of Martial Arts. The character can only still preform 2 martial arts techniques in a post. At this level Characters can have only learn up to seven Martial Arts Techniques. At this the rapid movement could only be used once in post. Level 6:Next is the sixth level of Martial Arts. The character can only still preform 2 martial arts Techniques in a post. At this level Characters can have only learn up to seven martial arts techniques. The fighter can now preform rapid movement twice in one post. Level 7:At the seventh level of Martial Arts. The character can is now able to preform 2 martial arts Techniques in a post. At this level Characters can have only learn up to seven martial arts Technique.The rapid movement can only be preform twice in a post. Level 8:Now claiming up the pillar at the eight level of Martial Arts. The character can is now able to preform 3 Physical Techniques in a post. At this level Characters can now learn up to 10 techniques Martial Art Technique.Rapid movement can now be use three times in a post. Level 9:Then at the ninth level of Martial Arts. The character can is now able to preform 3 Physical Techniques in a post. At this level Characters can now learn up to 10 techniques Martial Art Technique. Along with rapid movement the character can create an after image in a post. Level 10:Lastly claiming up the top at the tenth level of Martial Arts. The character can is now able to preform 4 Physical Techniques in a post. At this level Characters can now learn up to 10 techniques Martial Art Technique. The character can preform up to two after images in a post. Level 1:The character is at the starting level of melee. The character can preform one Physical Technique in a post. At this level Characters can have only learn up to one melee techniques. Level 2:The character is at the second level of melee. The character can only still preform one melee technique in a post. At this level Characters can have only learn up to five melee techniques. Level 3:The character is at the third level of melee. The character can only still preform one melee technique in a post. At this level Characters can have only learn up to five melee techniques. The character has the ability to make one after image at least once in a post. Level 4:At the forth level of melee. The character can is now able to preform 2 melee techniques in a post.The character's can preform the after image once in a post. Level 5:Next is the fifth level of melee. The character can only still preform 2 martial arts techniques in a post. At this level Characters can have only learn up to seven melee techniques. At this the character could only create an after image once in post. Level 6:Next is the sixth level of melee. The character can only still preform 2 melee techniques in a post. At this level Characters can have only learn up to seven melee techniques. The fighter can now preform after image twice in one post. Level 7:At the seventh level of melee. The character can is now able to preform 2 melee Techniques in a post. At this level Characters can have only learn up to seven melee Technique.The after image can only be formed used twice in a post. Level 8:Now claiming up the pillar at the eight level of melee. The character can is now able to preform 3 melee Techniques in a post. At this level Characters can now learn up to 10 techniques melee Technique. After images can now be made three times in a post. Level 9:Then at the ninth level of melee. The character can is now able to preform 3 melee techniques in a post. At this level Characters can now learn up to 10 techniques melee Technique. Along with after images the character can now use rapid movement once in a post. Level 10:Lastly claiming up the top at the tenth level of melee. The character can is now able to preform 4 melee techniques in a post. At this level Characters can now learn up to 10 techniques melee technique. The character can preform up to two rapid movements in a post. use of firearms and other ranged weapons. Level 1:The character is at the starting level of Ranged weaponry. The character can preform one Physical Technique in a post. At this level Characters can have only learn up to one range weaponry Technique. Level 2:The character is at the second level of range weaponry . The character can only still preform one Physical Technique in a post. At this level Characters can have only learn up to five range weaponry Technique. Level 3:The character is at the third level of range weaponry . The character can only still preform one martial Technique in a post. At this level Characters can have only learn up to five range weaponry Techniques. Level 4:At the forth level of range weaponry . The character can is now able to preform 2 range weaponry Techniques in a post. Level 5:Next is the fifth level of range weaponry . The character can only still preform 2 range weaponry techniques in a post. At this level Characters can have only learn up to seven range weaponry Techniques. Level 6:Next is the sixth level of range weaponry . The character can only still preform 2 range weaponry Techniques in a post. At this level Characters can have only learn up to seven range weaponry techniques. Level 7:At the seventh level of range weaponry . The character can is now able to preform 2 range weaponry Techniques in a post. At this level Characters can have only learn up to seven range weaponry Technique. Level 8:Now claiming up the pillar at the eight level of range weaponry . The character can is now able to preform 3 Physical Techniques in a post. At this level Characters can now learn up to 10 techniques range weaponry technique. Level 9:Then at the ninth level of range weaponry . The character can is now able to preform 3 Physical Techniques in a post. At this level Characters can now learn up to 10 techniques range weaponry Technique. as the Kamehameha, Gallick Gun and Masenko. Level 1:The character is at the starting level of Ki Blast. 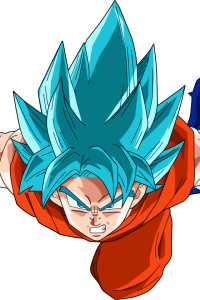 The character can preform one ki blast Technique in a post. At this level Characters can have only learn up to one ki blast Technique. Level 2:The character is at the second level of ki blast . The character can only still preform one Physical Technique in a post. At this level Characters can have only learn up to five ki blast Technique. Level 3:The character is at the third level of ki blast . The character can only still preform one martial Technique in a post. At this level Characters can have only learn up to five ki blast Techniques. Level 4:At the forth level of ki blast . The character can is now able to preform 2 ki blast Techniques in a post. Level 5:Next is the fifth level of ki blast . The character can only still preform 2 ki blast techniques in a post. At this level Characters can have only learn up to seven ki blast Techniques. Level 6:Next is the sixth level of ki blast . The character can only still preform 2 ki blast Techniques in a post. At this level Characters can have only learn up to seven ki blast techniques. Level 7:At the seventh level of ki blast . The character can is now able to preform 2 ki blast Techniques in a post. At this level Characters can have only learn up to seven ki blast Technique. Level 8:Now claiming up the pillar at the eight level of ki blast . The character can is now able to preform 3 Physical Techniques in a post. At this level Characters can now learn up to 10 techniques ki blast technique. Level 9:Then at the ninth level of ki blast . The character can is now able to preform 3 Physical Techniques in a post. At this level Characters can now learn up to 10 techniques ki blast Technique. through awareness of ki signatures. advantage in battle can be obtained. or even attacking you can add your power up level to a skill while using it. A great a example is preforming a kick the damage that kick dose increases. Level 1:The character can increase their power level for one single post. Level 2:The character can still only increase the power level for a short time (1 post). Level 3:The power increase now last up a duration of two post. Level 4:Power increase can only still used up to two post. Level 5:Pushing pass your level your power level can peek up to three post. Level 6:Power level increase can still only be sustain up 3 post. Level 7: The character can use their increase power level up to 4 post now becoming well adaptive to the skill. Level 8: Power increase duration is still set at 4 post. Level 9:The character power level can be increased for 5 post. Level 10:Claiming the heights the character can increase their power level up to 6 post. to use Ki attacks and techniques. Ki Pool = 100xPL (Power Level). attacks and techniques. Stamina Pool = 100xPL (Power Level). your character.Health Pool =100xPL (Power Level).